In 1970, Islanders Luau was formed with the hard work and creative vision of Susiana, a young Samoan mom, in a small shop in Riverside. She trained dancers and musicians who have been performing all over SoCal ever since. Her children, Masina and Maril, danced for her show at an early age. Her brothers, sisters, and husband were lassoed into the Hawaiian band to the delight of audiences. Her Islanders Luau became such a hit, that Susiana decided to try her hand at catering . . . and then floral arranging, and island decor. Her son, Maril, graduated from college and worked as a project manager for a major corporation, yet continued to entertain every weekend as a fire dancer in the family luau business. After many years in the corporate world, Maril decided to hang up his suit coat for good and use his project management skills to take over the family business. 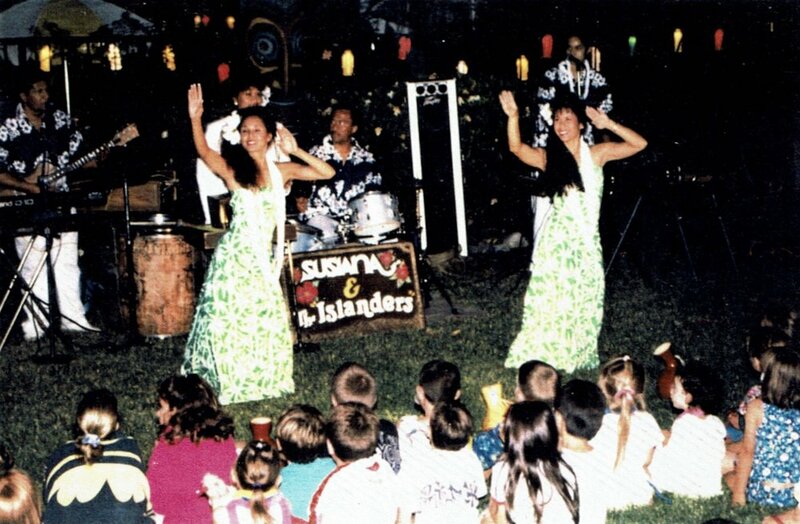 The combination of professional business expertise coupled with years and years of entertaining are what make Islanders Luau exceptional. Maril's four sons often dance at the shows, even though they have professional careers of their own. His son Nathan graduated from UCLA dental school and moved his little family to American Samoa to work at the LBJ Tropical Medical Center to keep the family's island heritage alive. 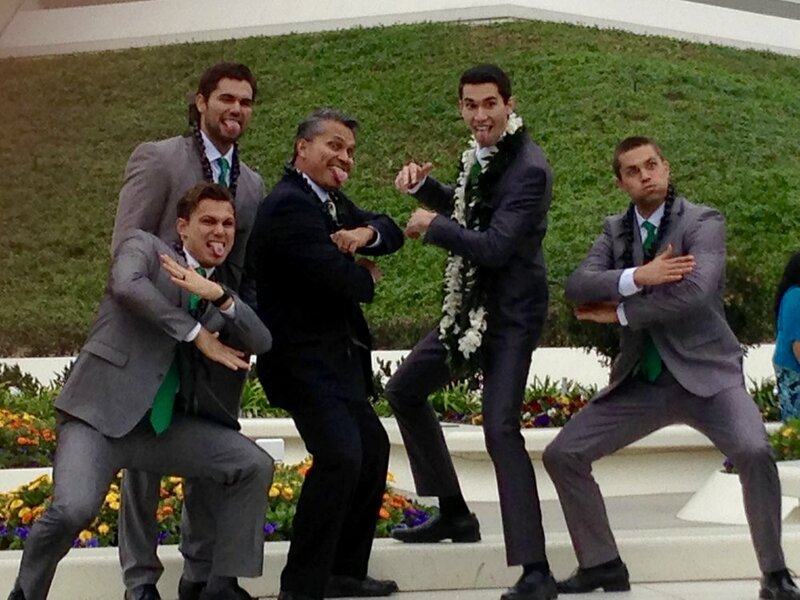 Preston has graduated from USC dental school, and he dances quite often. Maril's wife, Diana, is the Islanders designer, florist, social media poster, and accountant. Son, Tyler, dances when he is in SoCal, and his youngest son, Miles, is working his way through college as the Islanders Luau web designer. His niece, Kayleen, is chief scheduler, caterer, dancer, and singer for the family business. Maril's mom, Susiana, can often be seen at shows and plays her ukulele singing "Hanalei Moon" by special request, while his sister performs the hula for family weddings. Susiana's motto was to, "Embrace the best things from your own culture and combine them with the best things in your new culture". Our family still truly takes pride in showing off our culture through Islanders Luau. Vintage Photos from the 70's, 80's, and 90's! Now Islanders Luau is your one-stop Hawaiian event planning site. We have hula dancers, male luau entertainers, plus Hawaiian island style catering, as well as impressive authentic luau party decoration rentals. 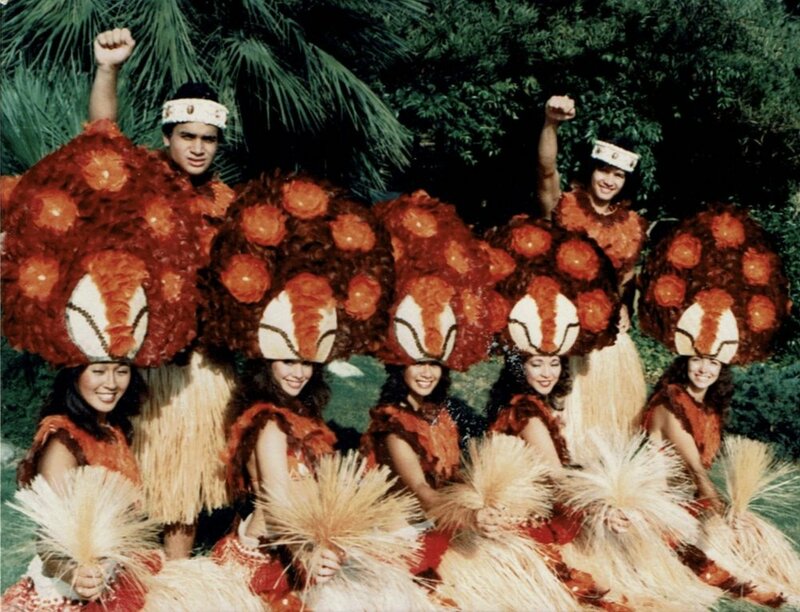 We specialize in company, community, HOA and corporate events where we can set up Hawaiian “Villages" to entertain your luau guests throughout the afternoon with a fun and entertaining variety of Hawaiian dance lessons, luau crafts, and island entertainers. The aroma of our on-site Hawaiian grill will greet your guests as they arrive. Our Islanders Luau Hawaiian Style Buffet features Teriyaki Chicken, Hawaiian fried rice, kalua pulled pork, and whole roasted pig. We cater luau events from 50-5000 people. Hire our beautiful Hawaiian hula girls, Tahitian dancers, trade off with our male dancers who perform Hawaiian men’s hula dances, slap dances, the haka and the fire knife dance. We have our own island band, Hawaiian musicians, and can even offer DeeJay entertainment services after the hawaiian luau show. Call Maril, the Islanders Luau event planner, who can help you with ideas for your company picnic, luau birthday parties, island anniversary celebration, romantic Hawaiian style wedding, or celebration of life memorial. Islanders Luau, near me and you.